The Yoga, as we know, has been explaining a healthy life science and has established to make the deepest experiences for all yoga practitioners. Meet lots of people from different walks of life with the equal approach as yours and immerse yourself in the flow of a divine yoga asana that will reward you with an improved mental health, physical health, and spiritual health by self during a yoga teacher training course. With the help of Yoga asana not only will you graduate with a complete yoga alliance certification to teach yoga, but also a lot of heart full memories to be loved for a lifetime. 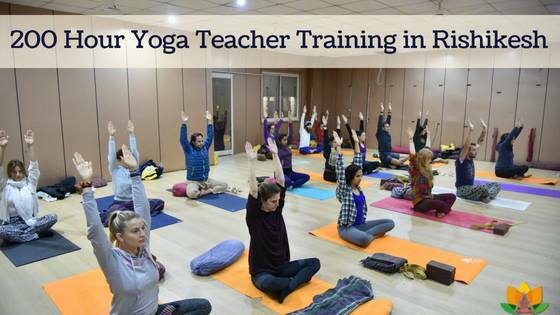 200 Hour Yoga Teacher Training Course in Rishikesh is no surprise that is the first to cross everybody’s mind when it comes to committing this Yoga Teacher Training in Rishikesh. The chief reasons for the choice are obvious after all India is the motherland where Yoga emerged for the first time in all over the world about 5,000 years ago and has been practiced ever since. Various types of yoga have been practiced in all over India (especially Rishikesh) as a way of connecting the mind, body, and soul. The all Indian Yoga gurus (Teachers) in all over the country have committed their lives towards preaching and understanding of yogic healing through various ancient yoga techniques like scriptures, oral traditions, and physical practice. The 200-hour yoga teacher training course is the starting of your successful career in the yoga field as a yoga teacher its totally depends upon your understanding and practicing on spiritual and physical Yoga’s. A 200-hour Yoga Course in Rishikesh is an accumulated program which is offered by the Hatha Yoga School that involves commitment and dedication. The Yoga course in Rishikesh lasting 200 Hour comprises of the teaching program together with full accommodation in a holistic Himalayas surrounding. The yoga schools in Rishikesh allows every person Yoga trainee student to calmly take on their yoga practices even as comfort and the atmosphere are cared for. Incomplete practicing with depth study of various yoga Asanas or body postures involved in Hatha Yoga, Vinyasa Yoga, and Ashtanga Yoga etc. Depth study on Meditation and healing spiritual lessons. Various types of Yoga Mantra Chanting and brief study on its tremendous benefits. Brief Theory of ancient Yoga and Ayurvedic sciences. Complete study on stress-free Yoga Asana. Complete understanding of Yoga Asana and their relevance with physical health and mental health. The brief study on the Vedic and Spiritual relationship of Yoga. The practices & brief study of eight limbs of Yoga. Complete practicing on various Relaxation techniques such as Yoga Nidra etc. Yoga teacher training courses are obtainable for non- residential and residential learners as number of foreigners comes down to India every year in order to learn yoga and not just for visiting milestone places of India. 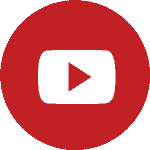 Accordingly, the course durations are fixed to suit their requirements. Great post! All my doubts regarding the yoga teacher training have been resolved. Actually, I am thinking about taking a part in YTTC in Rishikesh this year. Your article is very helpful for me. Thank you from the bottom of my heart. Thank You. You are most welcome in our Yoga center.